Preview: Kôna: Day One – Kelsey’s Take! 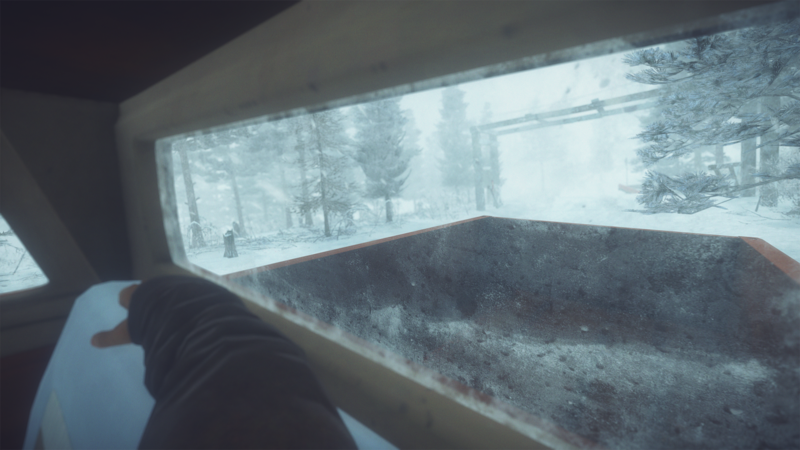 Kôna: Day One is an upcoming game from Parabole, a studio out of Québec. It was successfully Kickstarted by 1,304 backers for $44,271 CAD. This preview will cover the beta build for the game, which does not contain the full first act. 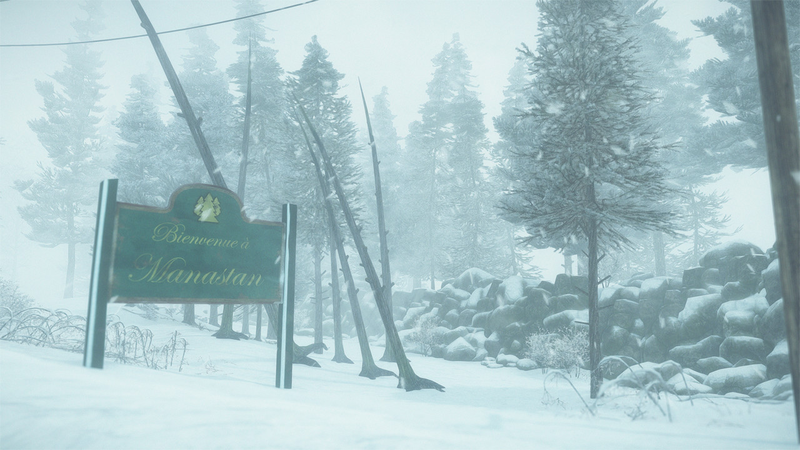 I came into Kôna: Day One right after Firewatch, so I was definitely in the mood for something like this – and there were quite a few similarities. I played for about an hour before I wasn’t sure where to go anymore (and I’m not sure that I could’ve explored any further with the current build, but maybe I missed something!). Kôna is being created with Unity, and it looks VERY good with all the graphics settings on high. There are a lot of great small details too – like leaving footprints that actually stay in the snow. You’re able to see your body, crepuscular rays are present, and birds are flying around. In the beginning, your direction is to go find Hamilton, but he’s mysteriously missing. I already ran into something of a supernatural nature, so I assume there’s going to be quite a bit of weirdness going on. In the menu, you can see that you have four stats: health, heat, energy, and weight. These didn’t come into play in the beta, but I was made aware of when Carl was warm or cold, and you can only save your game when you’re near a heat source. You also have access to a journal (which will tell you your objectives, locations, characters, and store your photos). You have an in-game camera; this one is a Polaroid. Throughout the beta, I found more film for my camera as well as other items that will be useful, like matches and tools. You also have a physical map – Carl will hold it in his hands when you need to look at it. You can open a lot of drawers, shuffle through belongings, and read scattered notes. The music that’s present so far is really cool and intense; I like it quite a bit and even left the main menu running to hear that theme. The one aspect so far that I find a bit odd is that there’s an omniscient, noire-y narrator who is SUPER overdramatic. I’m not sure if this style makes sense for the time period. I’ll definitely be covering this in the future when it’s more complete – I’m really intrigued! You can also check out Allahweh’s video of playing the pre-beta along with her thoughts! You can get Kona: Day One in Q1 2016 for Windows, Mac OSX, and Linux. It’s currently available through GOG’s Games in Development. It will also have full VR compatibility! Follow Parabole on the official site, Facebook, Twitter, and YouTube. That’s a good way to look at the narrator! I’m sure it will become clear when the full game is out – I really like the idea of it as a work brought to life!